Blues Conscience | OK Listen! 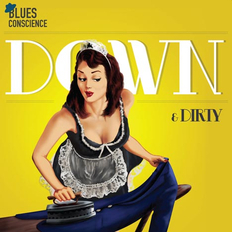 Begun with the intent to promote the blues as a genre in today’s rock and metal dominated Indian music scene, Blues Conscience began its journey to rediscover and reintroduce the blues back in 2008. Blues Conscience’s founding members Aum Janakiram and Anek Ahuja were quick to recognize the dearth of blues in the live music scene in their hometown of the coastal South Indian city of Chennai, and roped in Naeil Smith on the drums, along with saxophone player Maarten Visser. They were joined by Siddharth Kumar on the keyboards shortly thereafter, completing the power quintet line-up.